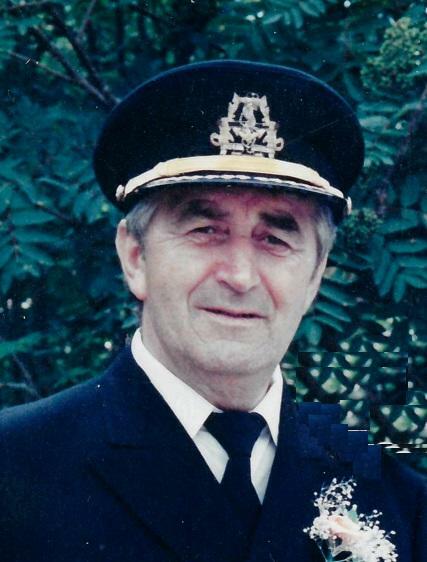 It is with great sadness that the family of the late THOMAS KEARLEY of English Harbour East announces his passing at the Burin Peninsula Health Care Centre in Burin on Friday, April 13th, 2018, at the age of 84. Leaving to mourn with fond and loving memories are his wife, Emily of 63 years; son Derek (Shirley) of English Harbour East; daughters, Barbara Kearley of Winterland, Juanita (Jer) Hackett of English Harbour East, and Pauline (Don) Clarke of Nova Scotia; 9 grandchildren, Lorelei, Timothy, Natalie, Tiffany, Tommy, Kirk, Jeremy, Shelby & Lauren; 4 great-grandchildren, Hope, Emily, Brianna, & Novah; brother, Wilson (Hazel) Kearley of English Harbour East; sisters-in-law, Myrtle Kearley & Mary Kearley; plus a large circle of relatives and friends. Tom is predeceased by his parents, Wilson & Elizabeth Kearley; brothers, Randell, Stanley, Harold, Jim, and Bob Kearley; and sisters-in-law, Melita & Vera Kearley. Father John Arhin conducted the Funeral Mass at St. Anne’s Roman Catholic Church, English Harbour East, on Wednesday, April 18th, 2018; at 11:00 am. Interment was at the Roman Catholic Church Cemetery in English Harbour East, NL. Pall bearers were Derrick Kearley, Jeremy Kearley, Tommy Hickey, Kirk Clarke, Shelby Clarke, and Tim Hackett. The Cross Bearer was Tiffany Hansen.